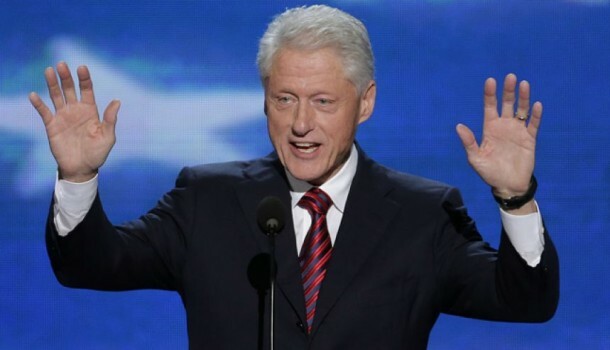 Former President Bill Clinton proves once again why he is the most kickass president alive to have ever run the USA to date! Besides running the very successful and life changing CGI (Clinton Global Initiative) and CGIU (Clinton Global Initiative University), being the iconic name promoting the Hult Prize, and being of the highest rated US presidents in history, Clinton has done something unlike any other president, or leader for that matter. Bill Clinton, back in 2001, could have taken down Osama Bin Laden even before the 9/11 attack took place. Now anyone in his sane mind would think that sparing the life of Bin Laden was the dumbest, most irresponsible action a US president ever took, well, you’d be surprised! The whole quote is on tape, and has only recently gone viral after Michael Kroger, the former head of the Liberal Party in Australia, released the audio during an interview on Sky News. Sparing the lives of 300 civilian, although wiping them out could have led to the termination of one of the most notorious terrorists, that’s a humane decision many leaders seem to have become blind to. From US drone attacks in Yemen, Pakistan and Afghanistan that inflict heavy civilian casualties, to the savage Israeli shelling of an entire population in Gaza, it just seems that the world today is missing on what made us human in the first place. It seems that political victories and heroic acts of taking down the bad guys are worth pursuing regardless of the consequences or collateral damages. People today are no more than a number in a database, a moving target on a screen or a red dot that unluckily was at the wrong lace at the wrong time. It’s time for the world to get priorities right. This isent a video game, this is not the story of good guys vs bad guys, we’re talking about human lives for god sake. It’s time we stop this madness and act like we were supposed to act: like humans with a brain and a heart.